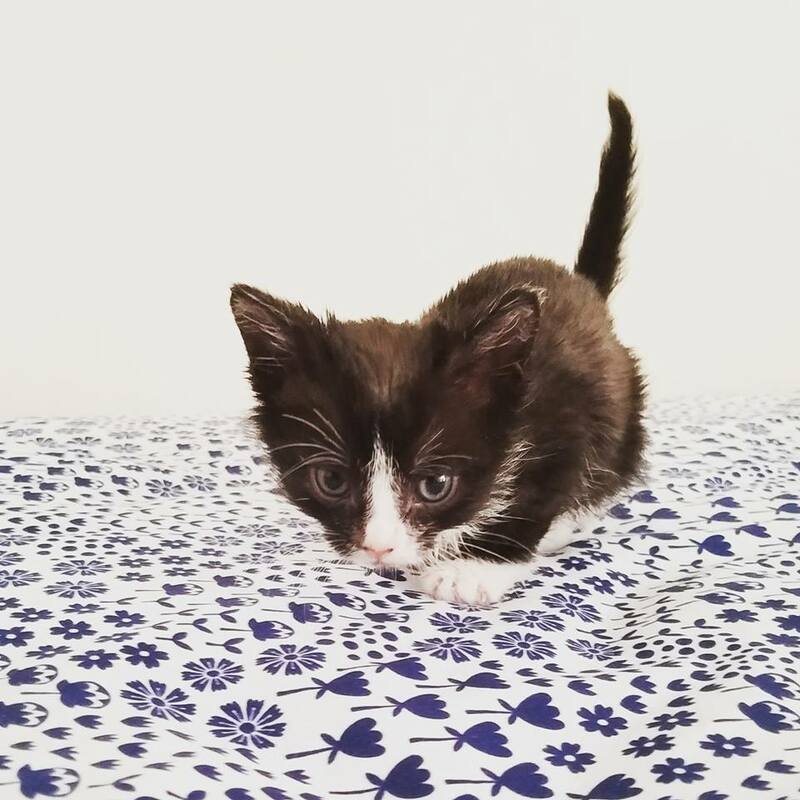 Tofu has been through quite a lot in his little life. He was one of three kittens, only two of which survived. His nest was groddy, which led to him and his brother Tempeh having quite the infestation of lice. Luckily, they joined our crew, and got hip new haircuts! While in his foster home, Tofu learned how to enjoy baths, eat solid food, and chase toys on sticks! Now he's ready for the next stage in his adventure...a forever home of his very own!